Should the 90cm+ fish Mary River Zone rule be dumped? Posted: Thu Aug 30, 2018 2:50 pm Post subject: Should the 90cm+ fish Mary River Zone rule be dumped? Trophy barra have been slow to recover in Finke and Chambers Bays since the nets were pulled out around 2012. Lots of good fish about but not many stonkers. In the 1990s barra of 120cm to 130cm were quite common. The NT Government has since brought in slot limits for the Mary River Zone, with a 90cm maximum for barra and threadies. But there is one fish over 90cm allowed per boat. Given the slow recovery in trophy-sized barra numbers, should the 90cm+ rule be dumped to protect all trophy fish? Or should the fishing community just wait for a magic combo of wet seasons to produce the goods again? Posted: Thu Aug 30, 2018 5:05 pm Post subject: Re: Should the 90cm+ fish Mary River Zone rule be dumped? I am mid draft of a letter to the powers that be about this very issue. Allowing 1 fish over 90cm per boat is frigging ridiculous. The rule was brought in so if a fish doesn't release well it can be kept but in fact a huge amount of fishermen are using this rule to neck their 1st big fish without any effort to release it. More onus should be on the fisherman to take more care of the fish for a successful release. I've seen 3 fish caught in as many years without a tail that has fully healed over. They are tougher than we give them credit for. Posted: Thu Aug 30, 2018 5:30 pm Post subject: Re: Should the 90cm+ fish Mary River Zone rule be dumped? Hi Matt I reckon in the 1990s there weren't too many big crocs to eat the 110+ barras? Posted: Thu Aug 30, 2018 5:33 pm Post subject: Re: Should the 90cm+ fish Mary River Zone rule be dumped? I wonder how many extra sharks and crocs are kicking around, eating the oldies? Posted: Fri Aug 31, 2018 10:37 am Post subject: Re: Should the 90cm+ fish Mary River Zone rule be dumped? Surprised anyone would want to keep metre-plus barra to eat because of mercury. Smaller fish likely to be healthier tucker. Posted: Fri Aug 31, 2018 12:59 pm Post subject: Re: Should the 90cm+ fish Mary River Zone rule be dumped? The practice of upgrading the fish in possession fits nicely with this stupid regulation. The reg says one fish OVER 90cm per boat, so its possible to have one of these fish everyday in your boat, and at least three in possession per person at your camp at any one time. Same rules at the Daly where the tourists stick to the rules...don't they? Last edited by bigwoody on Fri Aug 31, 2018 1:05 pm, edited 1 time in total. Posted: Fri Aug 31, 2018 1:02 pm Post subject: Re: Should the 90cm+ fish Mary River Zone rule be dumped? Posted: Sat Sep 01, 2018 8:52 am Post subject: Re: Should the 90cm+ fish Mary River Zone rule be dumped? keeping 90cm or bigger is crazy. It is like shooting lion's or tigers. It is like shooting a 10 year old buff and trying to eat it. Posted: Sat Sep 01, 2018 9:27 am Post subject: Re: Should the 90cm+ fish Mary River Zone rule be dumped? Have you guys thought of introducing your own voluntary rules to address NT wide which would include the Mary and its special Govt rules? Might make things easier and less confusing all round. Make up a voluntary code of practice that achieves what you want and doesn't infringe the NT fishing laws. Its worked very well here in our net-free-zone considering that its voluntary only. Not everybody will go along with it (and they don't have to) and they'll simply have to stick to the Govt rules. We've found that increasing numbers certainly are following it though. I'd suggest that AFANT would be ideally placed to organise it with free boat/vehicle stickers to indicate signing up. The rec fishing sector would then be sending a clear public message to NT govt that its taking steps towards self-management of its sector. Presence of the visible stickers would help spread the concept by exerting subtle peer pressure. Note that the code could also include voluntary no-go areas to help protect known spawning grounds at certain times. Most know where they are anyway and they cop a flogging. Anyway, its a suggestion worth considering towards the goal of more rec sector say in management. Posted: Sat Sep 01, 2018 5:14 pm Post subject: Re: Should the 90cm+ fish Mary River Zone rule be dumped? Posted: Sat Sep 01, 2018 6:38 pm Post subject: Re: Should the 90cm+ fish Mary River Zone rule be dumped? Have to agree with that. I keep going to vote and keep scratching my head about it. Posted: Sat Sep 01, 2018 6:42 pm Post subject: Re: Should the 90cm+ fish Mary River Zone rule be dumped? Heaps of big fish, get photographed and released to only get taken by a Shark, Might as well Neck it and have a Feed. Its not cheap to go fishing so you might as well get a heap of fillets. At least the Netters are not taking all the big breeders. Posted: Mon Sep 03, 2018 3:53 pm Post subject: Re: Should the 90cm+ fish Mary River Zone rule be dumped? I think most people up here do a pretty good job self regulating when it comes to the big girls, every one I know releases barra over a meter, and most release barra over 90cm. We kept a 93 that my mrs caught on light gear while having a flick for rats at the sampan mouth, took her ages on the light gear and by the time she got it to the net it basically floated into the net, tried to revive it for 10 min but was obviously going nowhere. Glad the rule didn't make us criminals by chucking it in the esky. By the same token i'd hate to see big fish that were fine for release being necked. I like Ronje's idea of a voluntary code of practice is s great idea, Good opportunity to do it through this forum, Matt is a great producer/distributor of stickers! 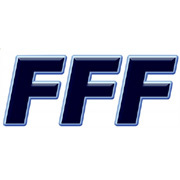 A 2/3 dot point sticker and an FFF logo for the side of your boat would be simple enough. Posted: Thu Sep 13, 2018 12:12 pm Post subject: Re: Should the 90cm+ fish Mary River Zone rule be dumped? Talking to Warren at Katherine Rod'n'Rifle, he says the 120cm fish aren't in the Victoria River in numbers either, but they were back in the 1990s. So it may well be across the board. This seems very odd. Could sharks/crocs be culling the big girls as the sharks/crocs are no longer being "controlled" by netters. Or do 120cm+ fish release badly, and recreational pressure has hit them? Not enough recreational pressure in the Vic River for that, I would have thought. Or are the shallow waters getting too warm for really big fish? Those 1980s wet seasons do not look anything special. Posted: Thu Sep 13, 2018 3:17 pm Post subject: Re: Should the 90cm+ fish Mary River Zone rule be dumped?